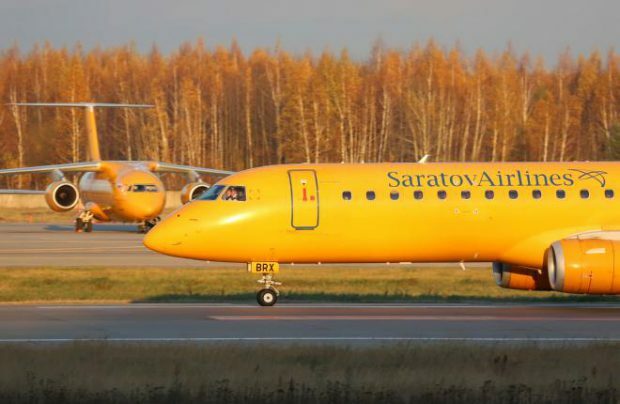 Russia’s Saratov Airlines, which had its Air Operator’s Certificate (AOC) revoked by aviation regulator Rosaviatsiya last week, is making an attempt to remain in business, having filed an application with the Russian authorities for a new certificate. “The application was filed on May 29 and should be reviewed within 10 days thereof [as required by Federal Aviation Regulations],” Mikhail Gerasimenko, first deputy director of Saratov Airlines has advised Russian Aviation Insider. The approval for an AOC in Russia is regulated by the Federal Aviation Regulations (FAP) code called FAP-146. The re-born operator plans to build its business on five Yak-42Ds and three Embraer E195 jets, the latter of which are still on lease at Saratov Airlines. “The leasing agreements have not yet been terminated,” the manager revealed, adding that the airline is counting on taking delivery of the fourth E195, which was due to arrive in May. With regard to the An-148s, which Saratov has sub-leased from Rossiya Airlines, the ‘new’ carrier does not envision them in its fleet plans. It was an An-148 that suffered a fatal crash in February 2018, a disaster which led to the initial restriction and the final revocation of the carrier’s AOC. Currently, whilst it is unable to operate aircraft, Saratov Airlines is continuing to manage Saratov International Airport which, together with the airline, constitutes the entire local aviation enterprise. Saratov Airlines can trace its history back to 1931 when it was founded in the city of Saratov as a local agricultural aviation division of Aeroflot and, together with the airport, formed Saratov United Air Squad. After the demise of the Soviet Union and the subsequent separation of Aeroflot into a number of regional splinter airlines, Saratov was registered as joint-stock company Saratov Airlines (Saravia) in 1994 and Aeroflot sold off its 51 per cent shareholding to private investors in 2011. Currently, Saratov Airlines is owned by Saratov-based, KGB-trained businessman Arkady Evstafiev.